If you want help choosing a license, evaluating a license, or have any other questions about licenses, you can email us at <licensing@gnu.org>. By the way, if you believe you have found a violation of one of our copyleft licenses, please refer to our license violation page. GNU General Public License, or GNU GPL for short. This is a free software license, and a copyleft license. We recommend it for most software packages. 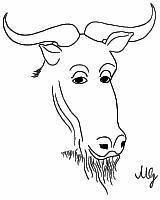 GNU Lesser General Public License, or GNU LGPL for short. This is a free software license, but not a strong copyleft license, because it permits linking with non-free modules. It is compatible with the GNU GPL. We recommend it for special circumstances only. Between version 2 and 2.1, the GNU LGPL was renamed from the GNU Library General Public License to the GNU Lesser General Public License to better reflect its actual purpose. Namely, it is not just for libraries, and the GNU GPL is sometimes more appropriate for libraries. This consists of the GNU GPL plus a special statement giving blanket permission to link with non-free software. As a result, it is not a strong copyleft, and it is compatible with the GNU GPL. We recommend it for special circumstances only--much the same circumstances where you might consider using the LGPL. This is much like that of Guile. This is a simple, permissive non-copyleft free software license, compatible with the GNU GPL. Older versions of XFree86 used the same license, and some of the current variants of XFree86 also do. Later versions of XFree86 are distributed under the XFree86 1.1 license (which is GPL-incompatible). This license is sometimes called the "MIT" license, but that term is misleading, since MIT has used many licenses for software. Being in the public domain is not a license--rather, it means the material is not copyrighted and no license is needed. Practically speaking, though, if a work is in the public domain, it might as well have an all-permissive non-copyleft free software license. Public domain status is compatible with the GNU GPL. The text of the CeCILL uses a couple of biased terms that ought to be avoided: "intellectual property" (see this article) and "protection" (see this article); this decision was unfortunate, because reading the license tends to spread the presuppositions of those terms. However, this does not cause any particular problem for the programs released under the CeCILL. This is the original BSD license, modified by removal of the advertising clause. It is a simple, permissive non-copyleft free software license, compatible with the GNU GPL. If you want a simple, permissive non-copyleft free software license, the modified BSD license is a reasonable choice. However, it is risky to recommend use of ``the BSD license'', because confusion could easily occur and lead to use of the flawed original BSD license. To avoid this risk, you can suggest the X11 license instead. The X11 license and the revised BSD license are more or less equivalent. This license is sometimes referred to as the University of Illinois/NCSA Open Source License or the 3-clause BSD license. This is the original BSD license with the advertising clause and another clause removed. (It is also sometimes called the "2-clause BSD license".) It is a simple, permissive non-copyleft free software license, compatible with the GNU GPL. If you want a simple, permissive non-copyleft free software license, the FreeBSD license is a reasonable choice. However, please don't call it a ``BSD'' or ``BSD-style'' license, because that is likely to cause confusion which could lead to use of the flawed original BSD license. This is a free software license and is compatible with the GNU GPL. This is a free software license and is compatible with the GNU GPL. Please note, however, that newer versions of Python are under other licenses (see below). This license is the disjunction of the Artistic License and the GNU GPL--in other words, you can choose either of those two licenses. It qualifies as a free software license, but it may not be a real copyleft. It is compatible with the GNU GPL because the GNU GPL is one of the alternatives. This license is a free software license, compatible with the GPL. It is the minimal set of changes needed to correct the vagueness of the Original Artistic License. This disjunctive license is a good choice if you want to make your package GPL-compatible and MPL-compatible. However you can also accomplish that by using the LGPL or the Guile license. This is a Free Software license, compatible with the GNU GPL. Note that previous releases of the Eiffel license are not compatible with the GPL. This is a simple, permissive non-copyleft free software license, incompatible with the GNU GPL because of its requirements that apply to all documentation in the distribution that contain acknowledgements. The Affero General Public License is a free software license, copyleft, and incompatible with the GNU GPL. It consists of the GNU GPL version 2, with one additional section that Affero added with FSF approval. The new section, 2(d), covers the distribution of application programs through web services or computer networks. The Affero GPL is incompatible with the GNU GPL version 2 because of section 2(d); however, the section is written so that we can make GNU GPL version 3 upward compatible with the Affero GPL. That is why we gave our approval for Affero to modify the GNU GPL in this way. This is a Free Software license, incompatible with the GPL. This is a simple, permissive non-copyleft free software license with a serious flaw: the ``obnoxious BSD advertising clause''. The flaw is not fatal; that is, it does not render the software non-free. But it does cause practical problems, including incompatibility with the GNU GPL. The license of OpenSSL is a conjunction of two licenses, One of them being the license of SSLeay. You must follow both. The combination results in a copyleft free software license that is incompatible with the GNU GPL. It also has an advertising clause like the original BSD license and the Apache license. The Academic Free License, version 1.1, is a free software license, not copyleft, and incompatible with the GNU GPL in several ways. It is advertised as a "compatible upgrade" for "licenses such as BSD and MIT", but it isn't; the revised BSD license and the MIT license are GPL-compatible, but the AFL is not. The AFL is incompatible with the GPL for two reasons. One is that its rules about trademark use appear to go beyond what trademark law itself actually requires in some countries, prohibiting what would legally be fair use of the trademark. Another incompatibility comes from its "Mutual termination for Patent Action" clause. Putting aside the difficult question of whether this sort of clause is a good idea or a bad one, it is incompatible with the GPL. Because of the incompatibility, we urge you not to use the AFL for programs you write; however, there is no reason to avoid running programs that have been released under this license. The Academic Free License, version 2.1, is a free software license, not copyleft, and incompatible with the GNU GPL in several ways. It contains contract clauses similar to the Open Software License, and should be avoided for the same reasons. The Open Software License, version 1.0, is a free software license. Its authors say it is intended to be copyleft, but we are having trouble determining whether the copyleft provisions really work. It is incompatible with the GNU GPL in several ways. All versions of the Open Software License have a term which requires that distributors to try to obtain explicit assent to the license. This means that distributing OSL software on ordinary FTP sites, sending patches to ordinary mailing lists, or storing the software in an ordinary version control system, is arguably a violation of the license and would subject you to possible termination of the license. Thus, the Open Software License makes it very difficult to develop software using the ordinary tools of Free Software development. For this reason, and because it is incompatible with the GPL, we recommend that no version of the OSL be used for any software. This is a simple, permissive non-copyleft free software license with practical problems like those of the original BSD license, including incompatibility with the GNU GPL. This is a permissive non-copyleft free software license with a few requirements that render it incompatible with the GNU GPL. We urge you not to use the Apache licenses for software you write. However, there is no reason to avoid running programs that have been released under this license, such as Apache. This is a simple, fairly permissive non-copyleft free software license with practical problems like those of the original BSD license, including incompatibility with the GNU GPL. The latest version of Zope is available under a GPL-compatible license. This is a free software license but is incompatible with the GNU GPL. The primary incompatibility is that this Python license is governed by the laws of the "State of Virginia", in the USA, and the GPL does not permit this. The IBM Public License is incompatible with the GPL because it has various specific requirements that are not in the GPL. The reason this requirement is acceptable for LaTeX is that LaTeX has a facility to allow you to map file names, to specify ``use file bar when file foo is requested''. With this facility, the requirement is merely annoying; without the facility, the same requirement would be a serious obstacle, and we would have to conclude it makes the program non-free. Note: These comments are based on version 1.2 (3 Sep 1999) of the LPPL. We have not written a full analysis of this license. But it is a Free Software license. It is incompatible with the GPL because some modified versions must include a copy of or pointer to an unmodified version. This is a free software license which is not a strong copyleft; unlike the X11 license, it has some complex restrictions that make it incompatible with the GNU GPL. That is, a module covered by the GPL and a module covered by the MPL cannot legally be linked together. We urge you not to use the MPL for this reason. This is a free software license which is not a strong copyleft; it has some complex restrictions that make it incompatible with the GNU GPL. It requires that all attribution notices be maintained, while the GPL only requires certain types of notices. Also, it terminates in retaliation for certain aggressive uses of patents. So, a module covered by the GPL and a module covered by the CDDL cannot legally be linked together. We urge you not to use the CDDL for this reason. Also unfortunate in the CDDL is its use of the term "intellectual property". This is a free software license, incompatible with the GNU GPL. We recommend that you not use this license for new software that you write, but it is ok to use and improve Plan 9 under this license. This is a free software license, incompatible with the GNU GPL. We recommend that you not use this license for new software that you write, but it is ok to use and improve the software released under this license. More explanation is available. We have provided links to these licenses when we can do so without violating our general policy: that we do not make links to sites that promote, encourage or facilitate the use of non-free software packages. The last thing we want to do is give any non-free program some gratis publicity that might encourage more people to use it. For the same reason, we have avoided naming the programs for which a license is used, unless we think that for specific reasons it won't backfire. The problems are matters of wording, not substance. There is a revised version of the Artistic License (dubbed "Artistic License 2.0") which is a free software license, and even compatible with the GNU GPL. This license is being considered for use in Perl 6. If you are thinking of releasing a program under the Artistic License, please do investigate other GPL-compatible, Free Software licensing options listed here first. The Artistic License 2.0 is currently in a draft phase with The Perl Foundation. FSF is in active negotiations with the Perl Foundation regarding the license, and we look forward to a result which will benefit all users. Versions 1.0, 1.1 and 1.2 are not free software licenses (follow the link for more explanation). Please don't use these licenses, and we urge you to avoid any software that has been released under them. Version 2.0 of the APSL is a free software license. The lha license must be considered non-free because it is too unclear to give clear permissions. The NASA Open Source Agreement, version 1.3, is not a free software license because it includes a provision requiring changes to be your "original creation". Free software development depends on combining code from third parties, and the NASA license doesn't permit this. It permits use only in "normal circumstances". The "SGI Free Software License B", although its name says "free", is not a Free Software License. It has three major problems. 1. It restricts its patent license to unmodified versions of the software. 2. It terminates if your use of the software infringes copyrights or patents which are not SGI's. This is problematic because it gives SGI grounds to sue you even when you have done nothing to them. 3. The license requires you to inform SGI of legal problems with the software. This violates your privacy rights, and can conflict with professional confidentiality requirements, such as attorney-client privilege. The University of Utah Public License is a non-free license because it does not allow commercial redistribution. It also purports to restrict commercially running the software and even commercially giving consultation about it. Those restrictions are probably not legally enforceable under US copyright law, but they might be in some countries; even asserting them is outrageous. Today eCos is available under the GNU GPL with additional permission for linking with non-free programs. This is not a free software license. The license prohibits distribution for a fee, and that makes it impossible for the software to be included in the many CD-ROM free software collections that are sold by companies and by organizations such as the FSF. It asserts one needs a license from AT&T to make a link to their web site. This is not an immediate practical problem, since the license says it gives permission to make such a link. (Anyway, people shouldn't make links to sites about non-free software.) But such a claim should not be made or propagated. The license of ksh93 is not a free software license. One reason for this is that it requires that all changes be sent to the developer. There may be other problems with the license as well that would make it non-free. Microsoft has other licenses which it describes as "Shared Source", some of which have different restrictions. As applied to software, this is not a free software license because it requires all users in whatever country to obey US export control laws. As applied to fonts, it also does not permit modification. This is a license intended for use on copylefted free documentation. We plan to adopt it for all GNU manuals. It is also suitable for other kinds of useful works (such as textbooks and dictionaries, for instance). Its applicability is not limited to textual works ("books"). This is a Free Documentation license that is incompatible with the GNU FDL. It is incompatible because Section (2c) says "You add no other terms or conditions to those of this License", and the GNU FDL has additional terms not accounted for in the Common Documentation License. This creates a practical pitfall in using or recommending this license: if you recommend ``Use the Open Publication License, Version 1.0 but don't enable the options'', it would be easy for the second half of that recommendation to get forgotten; someone might use the license with the options, making a manual non-free, and yet think he or she is following your advice. Please note that this license is not the same as the Open Content License. These two licenses are frequently confused, as the Open Content License is often referred to as the "OPL". For clarity, it is better not to use the abbreviation ``OPL'' for either license. It is worth spelling their names in full to make sure people understand what you say. Please note that this license is not the same as the Open Publication License. The practice of abbreviating ``Open Content License'' as ``OPL'' leads to confusion between them. For clarity, it is better not to use the abbreviation ``OPL'' for either license. It is worth spelling their names in full to make sure people understand what you say. This is not a free documentation license. The primary problems are that your right to redistribute any given version is not permanent and that it requires the user to keep checking back at that site, which is too restrictive of the user's freedom. The GNU GPL can be used for general data which is not software, as long as one can determine what the definition of "source code" refers to in the particular case. As it turns out, the DSL (see below) also requires that you determine what the "source code" is, using approximately the same definition that the GPL uses. The GNU FDL is recommended for textbooks and teaching materials for all topics. ("Documentation" simply means textbooks and other teaching materials for using equipment or software.) We also recommend the GNU FDL for dictionaries, encyclopedias, and any other works that provide information for practical use. This is a free and copyleft license meant for artistic works. It permits commercial distribution, but any larger work including the copylefted work must be free. Please don't use it for software or documentation, since it is incompatible with the GNU GPL and with the GNU FDL. The Open Font License is a Free copyleft license for fonts. Its only unusual requirement is that fonts be distributed with some computer program, rather than alone. Since a simple Hello World program will satisfy the requirement, it is harmless. Neither we nor SIL recommend the use of this license for anything other than fonts. The GNU GPL can be used for fonts. However, note that it does not permit embedding the font in a document unless that document is also licensed under the GPL. If you want to allow this, use the font exception.